Sladen as Sarah Jane Smith in "Doctor Who"
The actress who brought to life one of Doctor Who‘s most popular companions has passed away. Elisabeth Sladen, who played Sarah Jane Smith opposite the third and fourth Doctors before reprising her role in the new series, passed away at the age of 63. 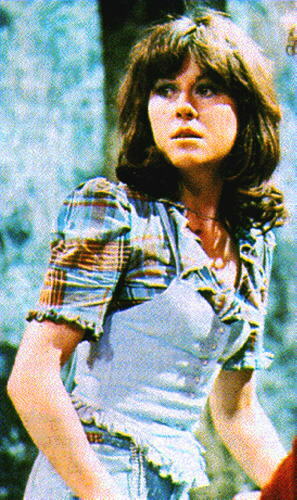 Sladen’s return visit to the show proved so popular that the character was given her own spin-off series, The Sarah Jane Adventures. 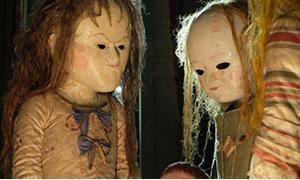 It wasn’t the first time that a spin-off with Sarah Jane was proposed. The first was K-9 And Company in the early 80’s though only a pilot was made for that series. “It is with much sadness that we can announce Elisabeth Sladen, the much-loved actress best known for her role as Sarah Jane Smith in Doctor Who and CBBC’s The Sarah Jane Adventures, passed away this morning,” said a spokesperson for the BBC. “I left Sarah Jane a great many years ago, but she never left me,” Sladen said in an interview when the series was launched. Sladen’s was praised for playing the role with humor and warmth, but she never warmed to science fiction, telling a television audience a couple of years ago that she found the genre was too complex. In an admission sure to shock Doctor Who’s die-hard fans, she said she never even bothered to learn the meaning of the TARDIS, The Doctor’s iconic telephone box-shaped time machine. 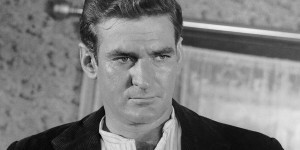 The BBC said that Sladen was survived by her husband, actor Brian Miller, and a daughter, Sadie. I’m so bummed out about this. I am sorry to hear about her passing away. I liked her character in both the old and new shows and she will be missed. Much too young to die. She was always my favorite companion until Rose Tyler. Wow, wole up at 1:30 this morning and decided to check the news. I grew up watching classic doctor who. Sarah Jane has been, and will contiune to be my fav companion. Well hopefully she is with the rest, doctor’s 1-3 Harry, The Brig, and all the rest. R.I.P. Liz Sladen, and all my love to her family and friends, for leting us all sepnd time with her and this great character she has created. Very Sad. As was said by Sam, She and Rose will be remembered in the future by those who watch and love the series. That is the nice thing about SciFi. Many of the people who play roles in them live forever in our thoughts and memories. It seems more so than any other genre. My whole family is heartbroken. She meant so much to all of us. We will miss you. Sad news…one of the Doctor’s best companions. What a dreadful surprise, Rest in Peace. She was right about it being about drama, but still, Lis Sladen was a pioneer & hero to all girls who wanted to make it in the Sci Fi genre. Her character was one of the best ever of all. Fair journey, my Sarah Jane Smith. This just breaks my heart. Absolutely heart-breaking news. I didn’t see her original performance as Sarah Jane. 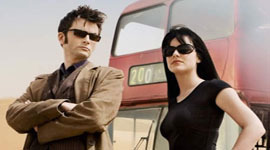 I caught her in the re-boot with David Tennant, and immediatley became a fan. RIP Elisabeth. And Thank You. I feel as if I lost a friend. She was a wonderful actress. She was one my favourite companions on Doctor Who and I also loved her on The Sarah Jane Adventures. My deepest sympathies to all her friends and family. She will be missed. One my childhood (and adulthood, to be honest) heroes is gone far too soon. Sarah Jane was amazing and by all reports so was the woman who played her. The Whoniverse will miss her dearly. Though no one seems to have known that she was battling cancer, I’m glad that she’s doesn’t have to suffer in silence anymore.